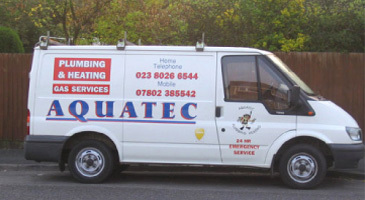 With over 20 years of experience as a family run business, Aquatec Plumbing & Heating offer a prompt service, with free no obligation estimates and no call out charge. 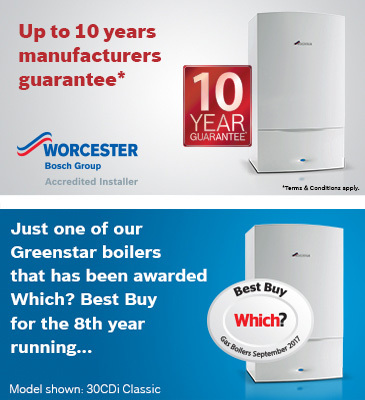 So, if you require competitive, reliable heating and plumbing engineers look no further. We operate throughout the Hampshire area and we cater to all domestic and business clients’ central heating systems, gas services and plumbing requirements. Established in 1996, we have the knowledge and expertise needed to ensure that you receive nothing but the best service. Our reputation has been developed through hard work and reliability which is why we are the area’s number one choice for gas, oil and plumbing related work. Our Services: air to water pumps, boiler installation, boiler repairs, burst pipes, central heating installations, gas safety inspections, energy efficient advice, general plumbing, ground heat source pumps, heated towel rail fitting, hob & gas oven fitting, immersion tanks, kitchen sinks & waste disposals, landlord safety certificates, leaks, overflows, power flushing, pump repairs, replacement radiators, saniflo’s, shower & bathroom fitting, tiling, solar heating, solar panels, tap fitting, replacements & repairs, toilet fitting, underfloor heating installations washing & dishwasher machine fitting, oil fired boiler installations, servicing and repairs, warm air servicing and repairs. Areas we cover: Alresford, Bognor, Brockenhurst, Chandlers Ford, Chichester, Eastleigh, Emsworth, Fareham, Gosport, Havant, Hayling Island, Lymington, Lyndhurst, Portsmouth, Romsey, Southampton, Southsea, Winchester, Waterlooville. Post codes we cover: PO1, PO2, PO3, PO4, PO5, PO6, PO7, PO8, PO9, PO10, PO11, PO12, PO13, PO14, PO15, PO16, PO17, PO18, PO19,PO20, PO21, PO22, PO23, PO24, PO25, PO26, PO27, PO28, PO29, PO30, SO14, SO15, SO16, SO17, SO18, SO19, SO20, SO21, SO22, SO23, SO24, SO30, SO31, S032,SO40, SO41, SO42, SO43, SO44, SO45, SO50, SO51, SO52, SO53, SO54, SO55.